J.P. Morgan Chase admits that it overcharged thousands of military service personnel on their mortgages and wrongfully foreclosed on 14 active-duty families, despite a federal law that limits interest rates that can be charged to active-duty military and prohibits foreclosure actions against them. "We made mistakes and we are fixing them," the bank said in a statement. "We feel particuarly badly about the mistakes we made here." The bank said it is mailing about $2 million to more than 4,000 military families that were overcharged and said it has already resolved 13 of the 14 foreclosures. But Chase's efforts may not be enough to prevent lawsuits and possible prosecution by state and federal officials. Sen. Jack Reed (D-R.I.) said he has asked Attorney General Eric Holder to examine the incidents and Delaware Attorney General Beau Biden asked all banks to review their mortgage practices to be sure they are in compliance with state laws as well as the federal Servicemembers Civil Relief Act (SCRA). "Soldiers who are fighting on the front lines to protect our country shouldn't have to needlessly fight with banks to protect their homes," Reed said. In a letter sent yesterday, Biden asks Bank of America, Citi, GMAC, Litton Loans, PNC and Wells Fargo, to examine their mortgage and foreclosure procedures and ensure they are operating within the SCRA. 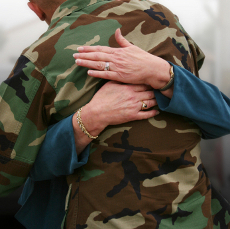 Complaints about Chase disregarding its obligation to military men and women are not uncommon. In May 2009, Melissa of Annville, PA, told ConsumerAffairs.com that Chase refused to consider any kind of mortgage modification despite a grant from a service organization that would have paid more than half their outstanding balance. "I am currently deployed and doing my best to support my husband and to ensure a home for my children while thousands of miles away. Not to mention the stress of this ordeal has causing panic attack and jeopardizing my health," Melissa said. "We have a 10" pile of notes as to when and who attempted to contact Chase." Steven of Portsmouth, VA, wrote in May 2008 that Chase foreclosed on his home while he was on active duty, forcing him into bankruptcy. Countrywide Mortgage/Bank of America Esther of Rockford, TN, complained last August that Countrywide refused to lower the interest rate on the home she and her active-duty husband owned. The family was evicted just before Esther's husband was deployed to Iraq. A class action suit against Countrywide charges that it routinely failed to grant military personnel the discounted interest rates they are entitled to. Saxon Mortgage Jose of Dallas, TX, complained in February 2010 that he was unable to get Saxon Mortgage to reduce his interest rate. Jose said that, while stationed in Kuwait, he had attempted to contact the company but got no response. Nationstar Mortgage Trevor of Tucson, AZ, complained in April 2010 that when his Arizona Air National Guard unit was activated, he sent the necessary paperwork to his creditors. All responses immediately except Nationstar, he said. ."When I called their customer service department, they did not know what I was talking about and asked me to re-fax them over to their research department. I've done this twice, with no response from anyone...in fact, my May statement just got here and my payment went up!" he said. HSBC "MAJ" complained that HSBC raised the interest rate on his GM credit card from 12.24% to 17.99%. When he attempted to pay off the card and cancel it, he was told he would lose $4,590 in credits toward the purchase of a new vehicle. Capital One Robert, deployed in Afghanistan, complained in April 2009 that Capital One was taking nearly half of his pay each month in the form of interest on a pickup truck that had been repossessed in 1996.